Keiji Inafune, his studio Comcept, and partner studio Inti Creates want to make Mighty No. 9, a game that echoes of the past, especially Inafune’s most famous franchise, Mega Man. You’ll play as Beck, a robot hero that has to defeat evil robots, absorb their powers, and defeat their evil leader. Sounds really familiar, right? And heck, those character designs haven’t falled far from the tree. I personally don’t think there’s anything wrong with that; Mega Man is my most favorite gaming franchise of all time. Inafune took his case to Kickstarter, where he asked for $900,000 to release the game on Steam. Within two days, the running total has broken 1 million dollars. Upcoming stretch goals include additional levels, Mac and Linux support, and console ports. At the rate the Kickstarter is going, it is likely that all of these stretch goals will be met. While Mighty No. 9 is far from full production yet, we know that Inafune and his team want to evolve the classic platforming style he created. 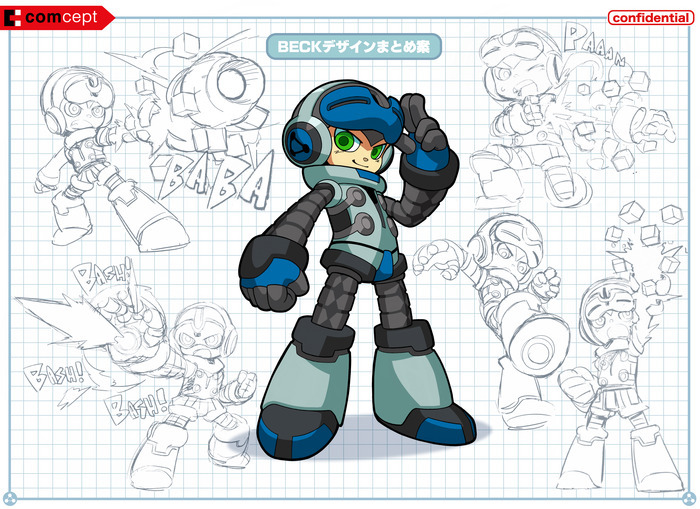 One new feature described is that Beck will not only be able to use the weapons of his defeated opponents, but he will also be able to transform parts of his body into various tools or forms to complete tasks or traverse dangerous areas. Keiji Inafune also promises lots of interaction with the fans in making design decisions. This reminds me of what he tried to do with the ill-fated Mega Man Legends 3, only now that there’s no intermediary publisher, no one can stop him. Mighty No. 9 is tentatively scheduled for a 2015 release.